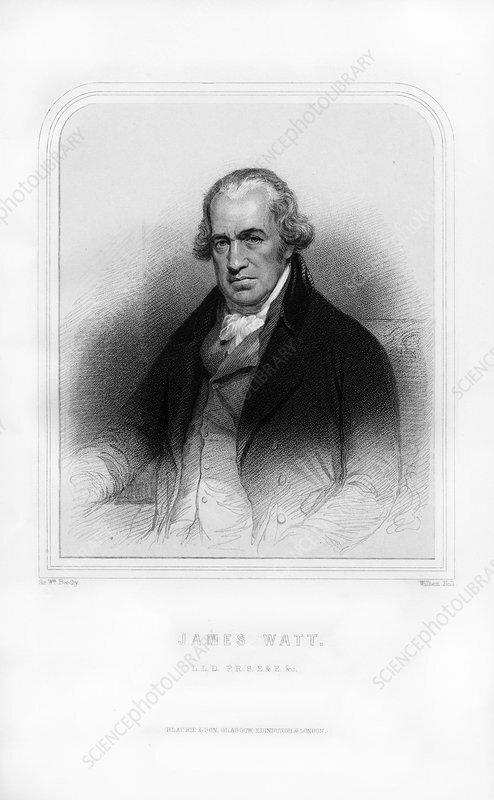 James Watt, Scottish inventor and engineer, (1870). Watt's (1736-1819) improvements to the steam engine were fundamental to the changes wrought by the Industrial Revolution. An engraving from Robert Chambers' A Biographical Dictionary of Eminent Scotsmen, Blackie and Son, (Glasgow, Edinburgh, and London, 1870). Artist: William Holl.